Combine all ingredients in a large bowl, mix well. Shape the meat mixture into loaf and place in slow cooker. Cover and cook on low 8-10 hours; or place in a loaf pan and in a 350 degree oven for 1 to 1 1/2 hours. Spread over meatloaf. Replace the cover on the slow cooker and cook on high for 15 minutes. 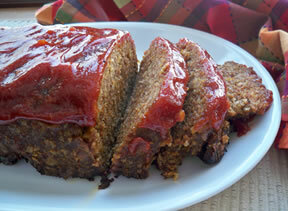 If baking the meatloaf in the oven, add the glaze for the last 1/2 hour of cooking time. TIP: on the lighter side, you could substitute ground turkey in place of the ground beef and use low-fat or fat-free cheddar cheese. "christoval69, the taco seasoning does go in the meat. The glaze consists of ketchup, brown sugar, and dry mustard. These ingredients had been left off of the ingredients list by mistake. Hopefully, the recipe makes more sense now. Thanks for bringing this to our attention." "I take at that the glaze is the salsa and taco seasoning mixed together -- right? To me it seems like the taco seasoning would take good mixed up with the meat. 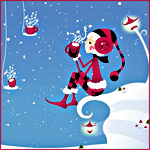 Have you ever tried this?" 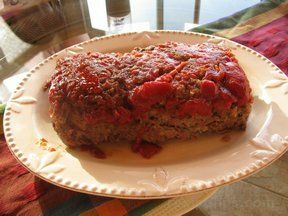 "We love meatloaf and this was a nice change to our regular recipe. 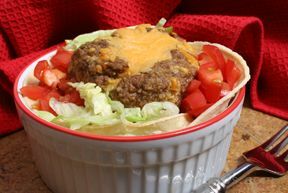 The salsa and taco seasoning gave it a boost of flavor. 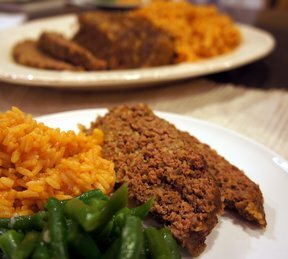 I will definitely make it again sometime for a change from our normal meatloaf."